With so many digital options, why is the phone channel still so popular? HomeImprove the CXIs the phone channel still the most popular? Despite the massive investments many organisations are making in new digital contact channels, the majority of customers are still turning to the tried and tested telephone to resolve their challenges. In the omnichannel world we live in today, customers have a multitude of options available to them when reaching out to a contact centre – more than they have ever had before in history. Yet it seems strange to note that, although these channels are growing in usage, the top channel of choice continues to be one that has been in existence for close to a century and a half, namely the telephone. A survey conducted last year by North Ridge Group of more than 1000 consumers indicates that one reason for this is that, according to these customers, companies make it easy to contact them about a service issue or inquiry via the telephone. More than half felt that the phone channel was an easier option than text message, mobile app self-service or social media. This, naturally, suggests that businesses are not succeeding in their quest to convince customers to use these other channels, either because they have not yet made them user-friendly enough, or because consumers are not receiving the level of resolution they might expect. The latter is certainly part of the reason, with customers suggesting that, while the hold time for an agent may be an issue, outside of that they tend to be able to obtain answers to their questions or resolutions to their problems quite quickly via the phone. Digital channels are still struggling because only massive enterprises  with the budgets to match  have the number of agents required to respond instantaneously via social media or e-mail. Customers are aware of this challenge, so instead of waiting hours, perhaps longer, for a response, they prefer to call, speak to an agent and get a much quicker resolution to their problem. So why is the phone channel still popular? There are other reasons why the phone remains so popular. In those cases where a client makes contact via a digital channel, be it live chat, email or social media, the customer may not actually know who they are communicating with. Agents who pick up a telephone call, however, always provide their name at the beginning of the conversation. This, in turn, means the agent – and by extension, the company – can be held accountable for the information provided. Apart from accountability, there is another more prosaic reason many customers use the phone channel instead of one of the other channels on offer: there are still a lot of consumers who are simply uncomfortable using digital technology. Whether it is because they do not understand it or, as is sometimes the case with older customers, they dont trust it; many avoid the digital channels like the plague. On the opposite side of the coin, virtually everyone is comfortable using the phone. There are also particular queries that customers have that they find the phone preferable for. A good example of this is the handling of a billing or payment issue, resolving a product problem, or making changes to a policy or account. On the other hand, fewer people call up a contact centre to make a comment or suggestion, but most will have no problem with jotting down a quick email in this regard and sending it off to the company. Is omnichannel making a difference? Naturally, the omnichannel environment is leading an increasing number of customers to try these other channels that are offered, but because many of these channels are still developing, and due to the inevitable challenges organisations face when perfecting such channels, they do not always work as well as they should. So while businesses want to deliver quality customer service via whichever channel the customer wants to communicate through, there are occasions when the digital channel of choice fails to resolve the problem. 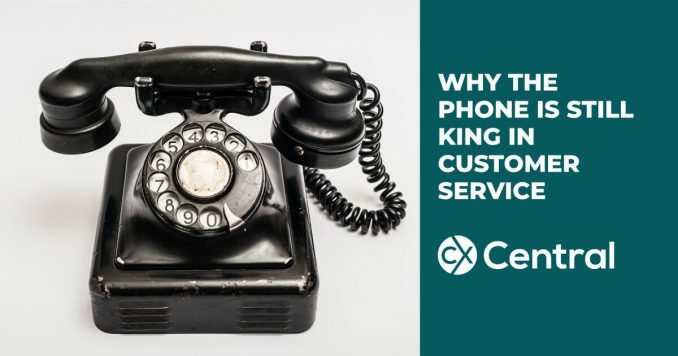 As an example, social media has just a 29% success rate in resolving customer service issues, compared to the 69% success rate of the telephone. Still other consumers tend to prefer the phone channel to other channels because they feel it is simply the most accurate option. This is especially true in cases where their concern is highly complex and they may struggle to articulate it via chat, email or social media. Therefore, while it is obviously important for enterprises to offer customers a multi-channel experience, it is equally clear that they need to continue investing in the call aspect of the contact centre. This means creating ongoing training opportunities for agents and continuing to deploy high-end telephony solutions. Despite the massive and ongoing hype around the digital contact channels, organisations must recognise the critical role that voice still plays in the modern contact centre and they must continue to ensure that voice remains the foundation of their omnichannel customer service experience. The popularity of voice demonstrates that it will yet play a role in the contact centre for a long time to come, and businesses must be prepared to allow it to evolve, along with the needs of the connected customer. Looking to upgrade your phone channel? Find cloud solutions and other technology suppliers in our Business Directory. Jacada enables organisations to deliver effortless customer self-service and agent-assisted interactions by implementing cutting-edge mobile, smart device, and web-based visual IVR solutions, as well as optimised agent desktops, and business process optimisation tools.